As a specialist in reconstructive surgery at Ohio State’s Wexner Medical Center, I perform reconstructive surgery – from trauma-related to reconstruction surgery in patients with all types of cancer. I was rated in the top 10 percent of physicians in the nation for patient satisfaction in 2015. 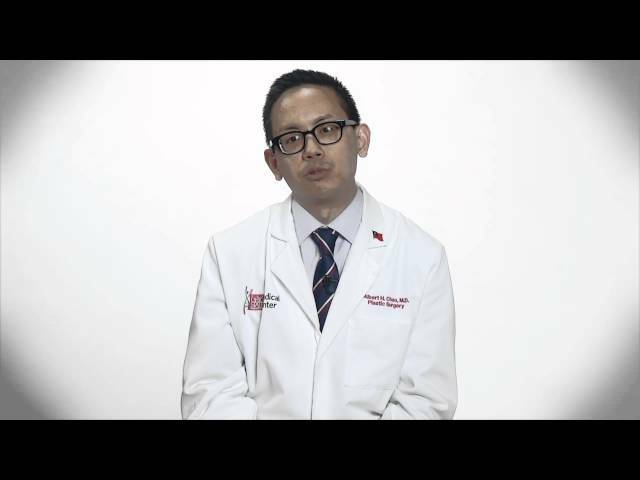 I am part of a multidisciplinary team at the OSUCCC – James that focuses on patients who are receiving treatment for breast cancer, skin cancer or sarcomas. One of the unique procedures I perform is free flap reconstruction using a patient’s own tissues to recreate the breast without implants. In addition, I use the latest technologies in microsurgery to perform reconstructive surgery with increased precision. Research has taught us that no cancer is routine and therefore I create individualized plans for each of my patients. I use a multimodality treatment approach – using a combination of therapies so that my patients receive the best surgical treatment for their specific cancer. From a research standpoint, I focus on clinical outcomes following oncologic reconstructive surgery, including processes/delivery of care and the effect of newer multimodality cancer treatments on the approach (method, timing, patient selection) to reconstruction. In addition, I have interests in the role of technology in plastic surgery, such as novel imaging and monitoring devices, and how they may alter understanding of reconstructive concepts or enhance patient outcomes. I am board certified by the American Board of Plastic Surgery, a Fellow of the American College of Surgeons, and an elected member of multiple committees of the American Society of Plastic Surgeons. In addition, I am a reviewer for the journal Plastic and Reconstructive Surgery, I serve on the editorial board of the journal Microsurgery, and I have numerous peer-reviewed publications in such journals as Plastic and Reconstructive Surgery and the Journal of Surgical Oncology. Cancer patients have a long and difficult journey. The most rewarding part of my work is to see my patients after all of their treatments and see that they are disease-free and living a normal life again. Doctor was great. He explained what he was going to do and how long it would take. Dr. Chao is meticulous and thorough. He does a wonderful job as does his PA Erin. As of 12/20/2018, Dr. Chao has reported no relationships with companies or entities.